Andorra is to introduce a tax on personal income for the first time as it faces pressure from the its European neighbours to tackle tax evasion. 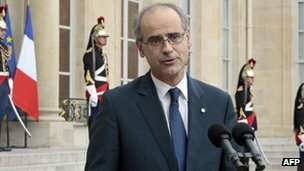 Antoni Marti, the head of the Andorran government, told French President Francois Hollande that he will introduce a bill before 30 June. Tax evasion costs EU states 1tn euros ($1.3tn; £850bn) a year, more than was spent on healthcare in 2008, the Commission has said, and some MEPs are calling for a Europe-wide blacklist of tax havens. Mr Hollande was meeting with Mr Marti in Paris in his role as one of the two co-monarchs of Andorra, which is situated in the Pyrenees mountains between France and Spain.